You might walk into your bathroom and see water marks around your faucet handles, in your shower, on your shower, and bath walls. 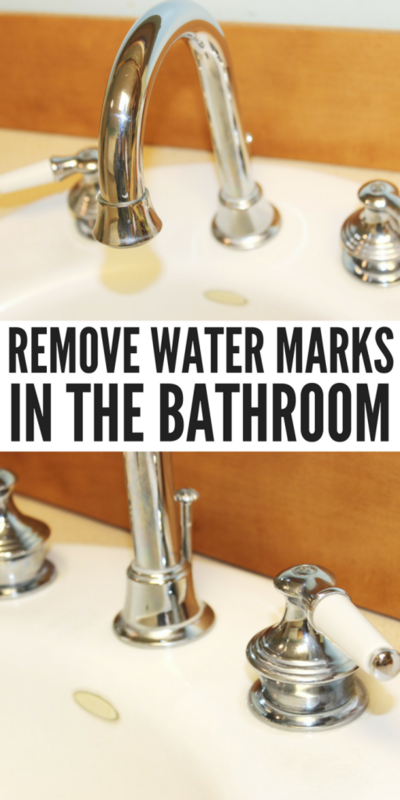 It can be a chore to get rid of those pesky stains, but I am going to share how to clean water marks in your bathroom! You will have it sparkling and looking great in no time! Water marks are the result of a build-up of alkaline in hard water. Some people call these water marks lime scale or mineral deposits. If you don’t stay on top of cleaning these around your faucets and other areas where there is running water, those water marks can become buildup. If you find that you have water marks on your chrome faucets, grab a lemon! Slice the lemon in half, and rub it directly onto the water marks. The acid in the lemon will help eat away the deposit, and then wipe clean with a soft rag. You can do this on any area that you find water marks in your bathroom! This is for a quick shine. Now if you have some buildup, you will need to follow the steps below. If you have a buildup that is white and flaky, this is from the alkaline in hard water, like I mentioned above. 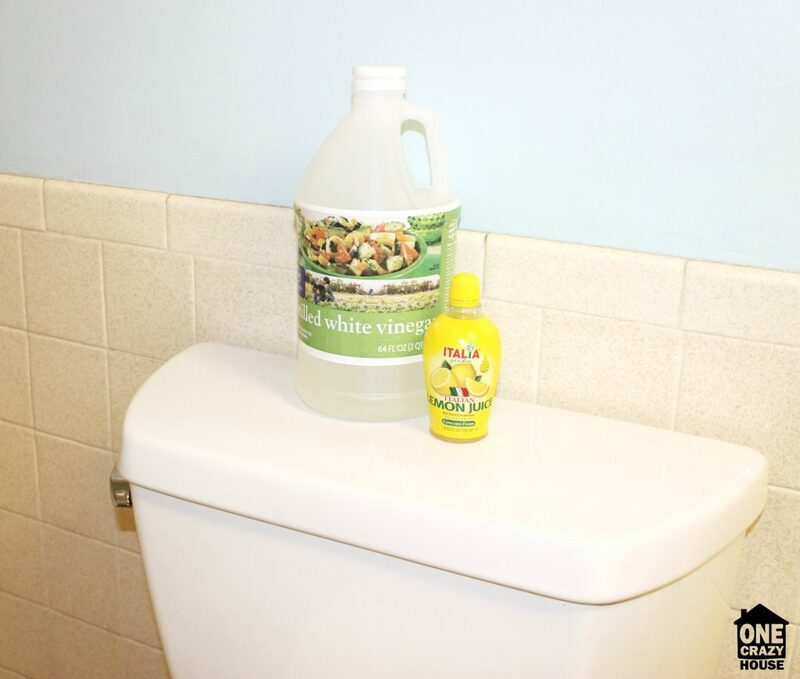 If you have a good build up use straight white distilled vinegar to help break it down and clean your bathroom. This works great for shower heads, around faucets, bathtub and shower buildup and more. Shower Head – Pour straight vinegar into a gallon size plastic bag and place it over your shower head. Then with a rubber band or some kind of tie, secure the bag of vinegar over the shower head, and allow it to soak in this mixture for an hour. Then rinse it clean, and it will help remove any water marks or build up. Around Faucets– Take a rag and soak it in vinegar, and wrap it around the area that has the water marks or build-up. Let it soak for 20 minutes, and come back and apply more vinegar to the rag. If you have a lot of build-ups it can take some time to break it down, so just know it is a process. After an hour lift the rag and try to wipe away the water marks and build up. If it removes you are done, if not repeat the process again. 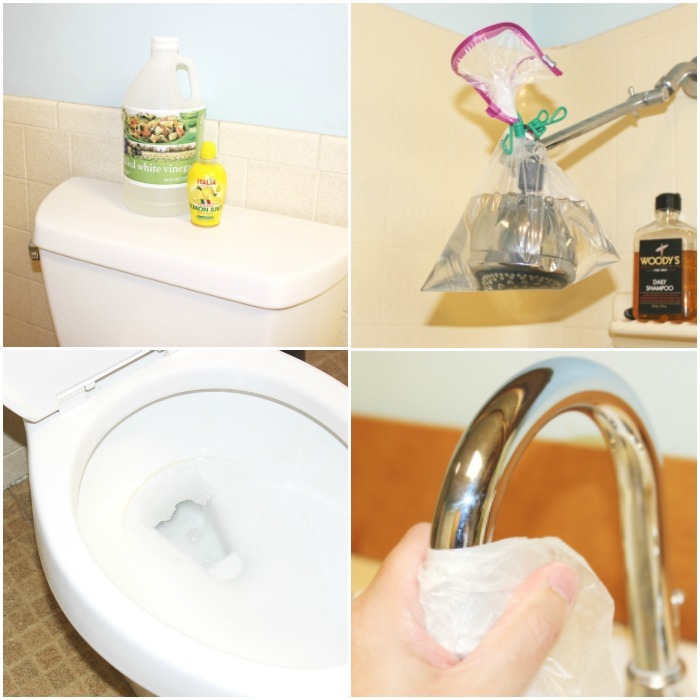 Toilet – Mix 1 cup of white vinegar with a tablespoon of lemon juice. Pour into the toilet and let it stand for 30 minutes, and then take your toilet brush to scrub away any water marks or stains inside the toilet. This also works for around the seat, just wrap a towel around the areas and pour some of the liquid on the rag, just like you did for the faucets. Take some wax paper and buff it along the faucet handles. The wax residue will rub off on the handles and help resist future water marks! Make sure after you run water, to dry around the sink to help reduce water marks as well. 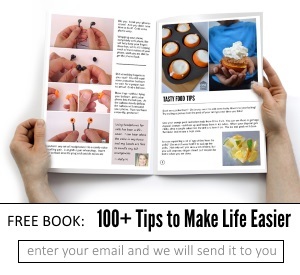 You may also enjoy these great tips for getting rid of stains on your carpet, restoring a cast iron skillet and more.